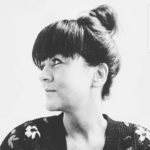 With 166.000+ followers Sandra Gremmen of @finntage is one of the most influential home décor bloggers of The Netherlands. 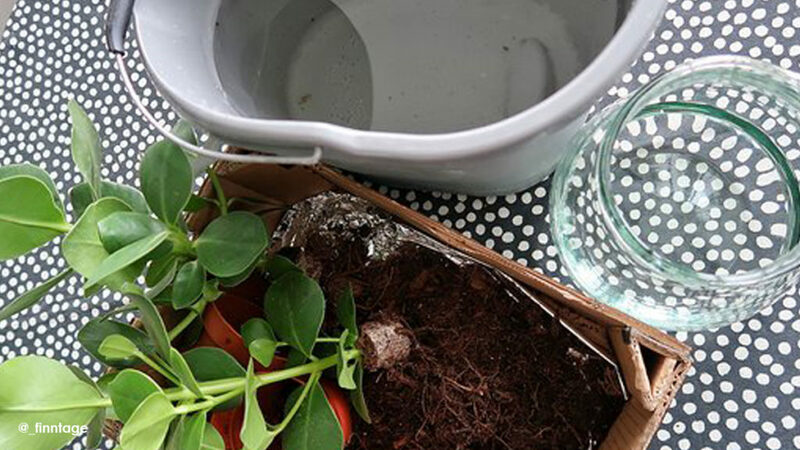 In this blog she shows how to present plants at their most beautiful in glass and ceramics. I love plants! Lots of plants 😊! But it IS a challenge to always present them attractively. Because however beautiful your plant may be, if it doesn’t have a beautiful home of its own, something is missing as far as I’m concerned. It is the combination of plant and pot that makes a statement, in my experience. My plants are usually housed in pots, mostly ceramic ones. Mica has an amazing assortment in ceramics, it’s always very hard to choose #champagneproblems😉. And don’t forget its collection of glassware in all shapes and sizes, it’s pretty awesome. 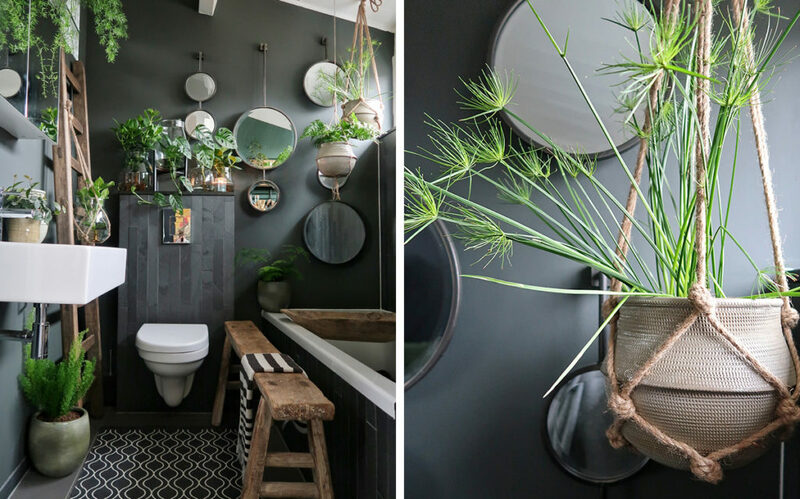 In this blog I’ll use glass and ceramics to restyle my bathroom. What should you keep in mind when you’re combining glassware and ceramics in one space? Most important is a match between the shape of both materials. Also make sure you have various sizes and heights to work with. 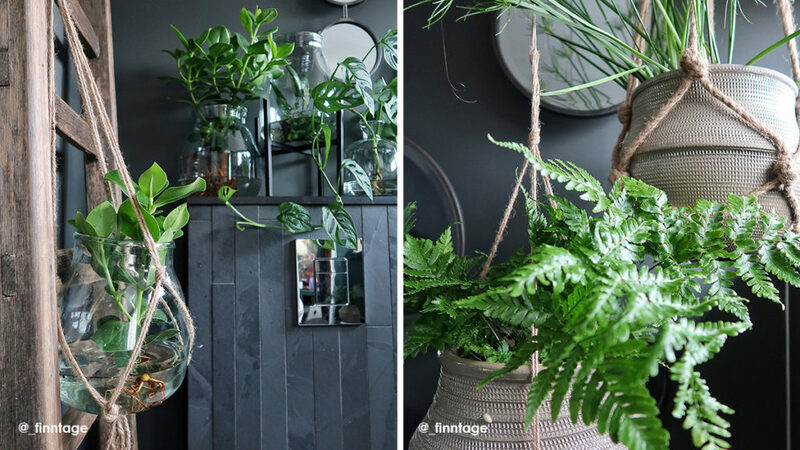 Visually it’s less exciting to have four identical pots in a row 😉You could also use plant stands and plant hangers to create multi-levels in your display, that’s what I did here. If you’re working with two very different materials like glass and ceramics, it’s best to keep the ceramics in one colour, to create focus and unity in your presentation. I chose Clusia and Monstera for a display in glass. 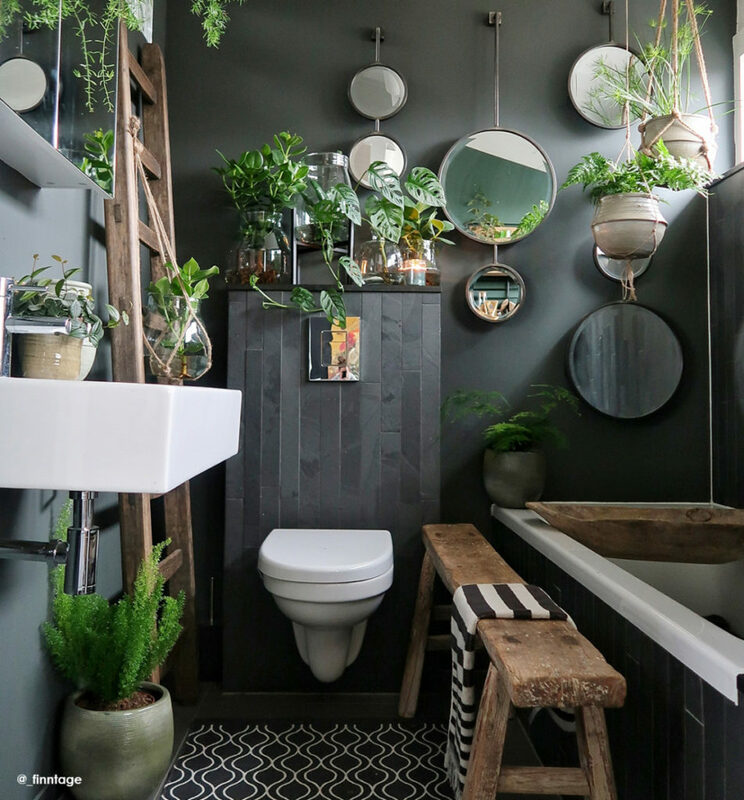 The ceramics were adorned by ferns, I love these in the bathroom and I think they look great together with Clusia and Monstera. Bring everything together on a table. I like to get an overview of the materials, shapes and colours this way and hopefully feel the wow-factor instantly. And let’s face it, all the stuff together is already a feast for the eye. Green, glass and ceramics, happy claps! I used a big bucket to rinse all roots. Something tells me the sink wouldn’t be happy if I did it there 😉. When both your glassware and the roots of your plants are clean, there’s very little that can go wrong, really. I chose to group all glassware together, its fragile look becomes more intense that way. The robust ceramic pots I dotted all over the bathroom, they can take care of themselves 😉! Don’t you just love this effect? 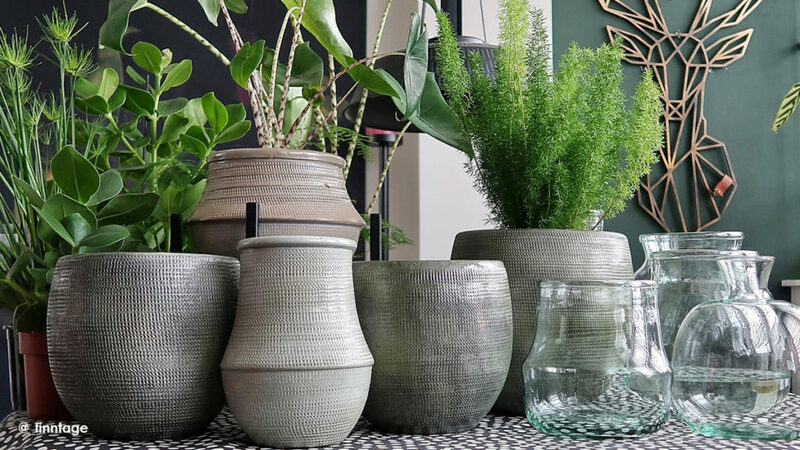 Glass becomes so much more powerful with a plant and the combination with ceramics brings a little extra buzz to it. I’m happy – what do you think? I just might take a bath now – till next time!